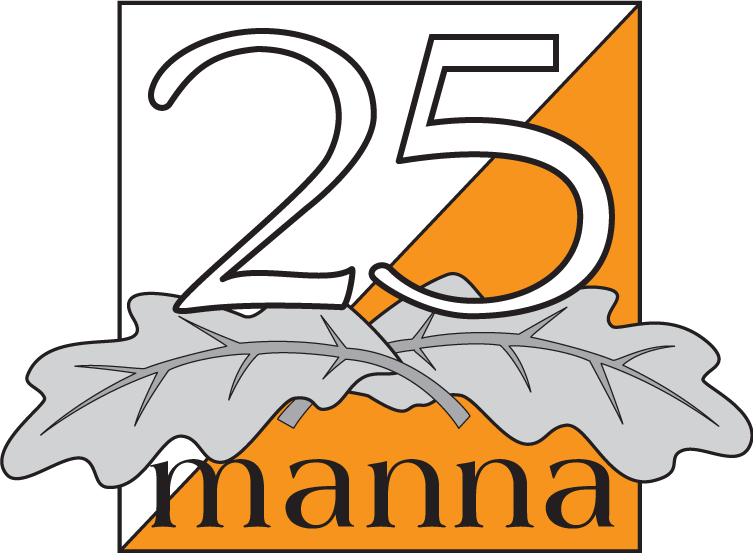 We have had a really nice summer and the planning of 25manna’s courses has now reached the final stage. It’s time for some more work teams to take over after the planners have done their part. For example, the control building of the controls has begun, the speaker function would like estimated split times and the printers need to do a test print of the map. The interesting fire area, which we told you about earlier, has changed character during the dry summer and the visibility has improved and even more leaves will have time to disappear before the race takes place. Nevertheless, we advise the runners who have courses that traverse the fire area to make as much use as possible of the yellow parts indicated on the map. If you are a “straight-on-runner”, you will probably lose a lot of time or at least a lot of effort to try and force yourself through the green areas – even though you feel tough. 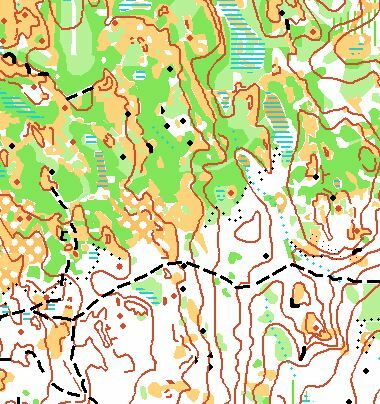 You should plan your route before you throw yourself off to the next control and utilize the yellow areas in the terrain. 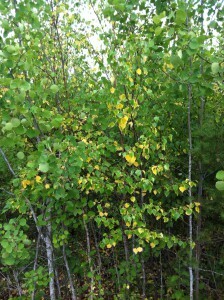 The picture was taken in July when a JOK member runs through such a yellow area. An open ridge (yellow on the map) in the fire area where it is easy to run. 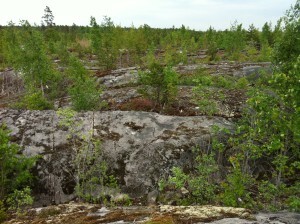 The next picture shows ridges in the part of the fire area where the new vegetation has been cleared. The saplings between the ridges have been cut down and left lying on the ground which means it can be difficult to pass in some places. On the map, this is indicated with a green stripes and with yellow on the heights. It is worthwhile also here to follow the ridges. 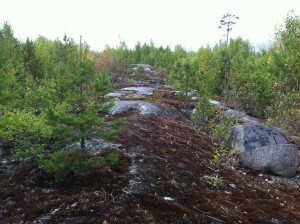 The characteristics of the fire area is very different from the rest of the terrain, which consists mainly of conifer forest with many paths and with good accessibility and visibility. 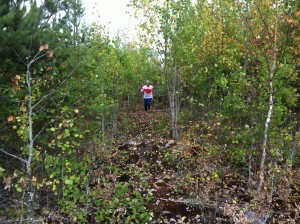 Runners crossing the fire area will be put to the test regarding tactics, physique and orienteering skills. It will be an exciting and challenging 25manna.